The Proclamation of Independence on June 12, 1898, as depicted on the back of the Philippine five peso bill. The Philippine Declaration of Independence (Filipino: Pagpapahayag ng Kasarinlan ng Pilipinas) was proclaimed on June 12, 1898 in Cavite II el Viejo (present-day Kawit, Cavite), Philippines. With the public reading of the Act of the Proclamation of Independence of the Filipino People (Spanish: Acta de la proclamación de independencia del pueblo Filipino; Filipino: Paggawa ng Pagpapahayag ng Kasarinlan ng Sambayanang Pilipino), Filipino revolutionary forces under General Emilio Aguinaldo proclaimed the sovereignty and independence of the Philippine Islands from the colonial rule of Spain. 2 The text of the "Act of the Proclamation of Independence of the Filipino People"
In 1896, the Philippine Revolution began. In December 1897, the Spanish government and the revolutionaries signed a truce, the Pact of Biak-na-Bato, requiring that the Spanish pay the revolutionaries 800,000 pesos and that Aguinaldo and other leaders go into exile in Hong Kong. In April 1898, at the outbreak of the Spanish–American War, Commodore George Dewey aboard the U.S.S. 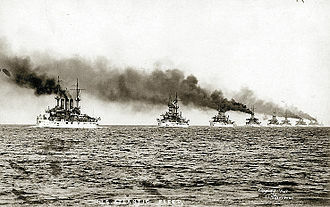 Olympia sailed into Manila Bay leading the Asiatic Squadron of the U.S. Navy. On May 1, 1898, the United States defeated the Spanish in the Battle of Manila Bay. Emilio Aguinaldo decided to return to the Philippines to help American forces defeat the Spaniards. The U.S. Navy agreed to transport him back aboard the USS McCulloch, and on May 19, he arrived in Cavite. Independence was proclaimed on June 12, 1898 between four and five in the afternoon in Cavite at the ancestral home of General Emilio Aguinaldo some Template:Conver south of Manila. 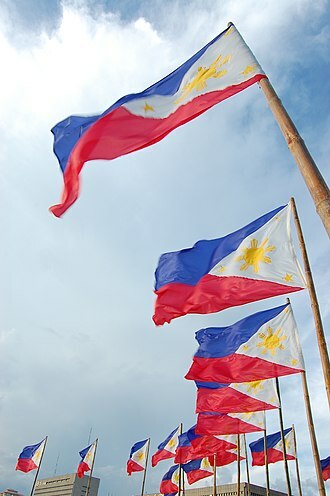 The event saw the unfurling of the Flag of the Philippines, made in Hong Kong by Marcela Agoncillo, Lorenza Agoncillo, and Delfina Herboza, and the performance of the Marcha Filipina Magdalo, as the national anthem, now known as Lupang Hinirang, which was composed by Julián Felipe and played by the San Francisco de Malabon marching band. The Act of the Declaration of Independence was prepared, written, and read by Ambrosio Rianzares Bautista in Spanish. 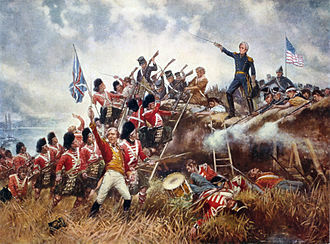 The Declaration was signed by 98 people, among them a United States Army officer who witnessed the proclamation. 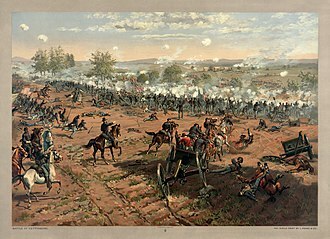 The final paragraph states that there was a "stranger" (stranger in English translation—extranjero in the original Spanish, meaning foreigner) who attended the proceedings, Mr. L. M. Johnson, described as "a citizen of the U.S.A, a Colonel of Artillery". 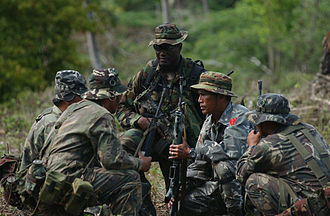 Despite his prior military experience, Johnson had no official role in the Philippines. The proclamation of Philippine independence was, however, promulgated on 1 August, when many towns had already been organized under the rules laid down by the Dictatorial Government of General Aguinaldo. 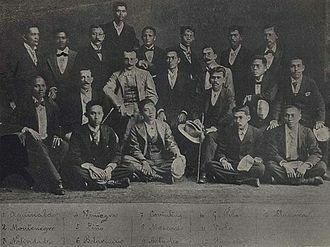 190 municipal presidents of different towns from 16 provinces—Manila, Cavite, Laguna, Batangas, Bulacan, Bataan, Infanta, Morong, Tayabas, Pampanga, Pangasinan, Mindoro, Nueva Ecija, Tarlac, La Union and Zambales—ratified the Proclamation of Independence in Bacoor, Cavite. Later at Malolos, Bulacan, the Malolos Congress modified the declaration upon the insistence of Apolinario Mabini who objected to that the original proclamation essentially placed the Philippines under the protection of the United States. The declaration was never recognized by either the United States or Spain. 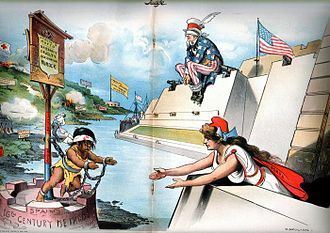 Later in 1898, Spain ceded the Philippines to the United States in the 1898 Treaty of Paris that ended the Spanish–American War. The Philippine Revolutionary Government did not recognize the treaty or American sovereignty, and subsequently fought and lost a conflict with the United States originally referred to by the Americans as the "Philippine Insurrection" but now generally and officially called the Philippine–American War, which ended when Emilio Aguinaldo was captured by U.S. forces, and issued a statement acknowledging and accepting the sovereignty of the United States over the Philippines. This was then followed on July 2, 1902, by U.S. Secretary of War Elihu Root telegraphing that the insurrection the United States had come to an end and that provincial civil governments had been established everywhere except those areas inhabited by Moro tribes. Pockets of resistance continued for several years. Following the end of World War II, the United States granted independence to the Philippines on 4 July 1946 via the Treaty of Manila. July 4 was observed in the Philippines as Independence Day until August 4, 1964 when, upon the advice of historians and the urging of nationalists, President Diosdado Macapagal signed into law Republic Act No. 4166 designating June 12 as the country's Independence Day. June 12 had previously been observed as Flag Day and many government buildings are urged to display the Philippine Flag in their offices. The Declaration is currently housed in the National Library of the Philippines. It is not on public display but can be viewed with permission like any other document held by the National Library. 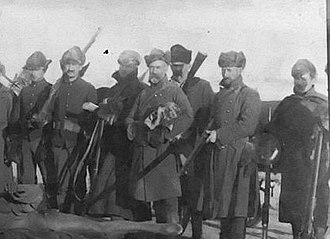 During the Philippine–American War, the American government captured and sent to the United States about 400,000 historical documents. In 1958, the documents were given to the Philippine government along with two sets of microfilm of the entire collection, with the U.S. Federal Government keeping one set. Sometime in the 1980s or 1990s the Declaration was stolen from the National Library. As part of a larger investigation into the widespread theft of historical documents and a subsequent public appeal for the return of stolen documents, the Declaration was returned to the National Library in 1994 by historian and University of the Philippines professor Milagros Guerrero, who mediated the return of the documents. The text of the "Act of the Proclamation of Independence of the Filipino People"
The Act of the Proclamation of the Independence of the Filipino People (Spanish: Acta de la proclamación de independencia del pueblo Filipino; Filipino: Paggawa ng Pagpapahayag ng Kasarinlan ng Sambayanang Pilipino) is part of a long line of declarations of independence including the United States Declaration of Independence. It includes a list of grievances against the Spanish government stretching back to Ferdinand Magellan's arrival in 1521 and confers upon "our famous Dictator Don Emilio Aguinaldo all the powers necessary to enable him to discharge the duties of Government, including the prerogatives of granting pardon and amnesty." ^ a b c Rufo, Aries (2008-05-26). 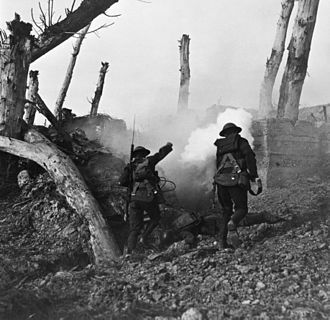 "Court set to decide on National Library pilferage of historical documents". Abs-cbnNEWS.com/Newsbreak. Retrieved 29 January 2013. Around 8,183 documents, mostly classified as Philippine Revolutionary Papers, were returned to the National Library. One University of the Philippines professor returned more than 6,000 documents. 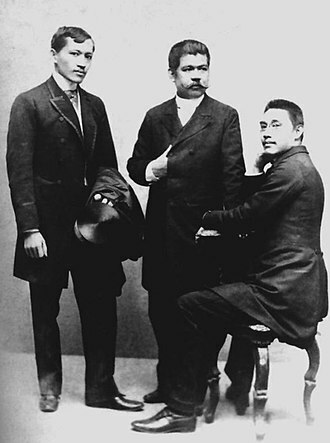 Among the retrieved documents were the manuscript of Andres Bonifacio’s trial, the Declaration of Independence, the Pact of Biac-na-Bato and Leonor Rivera’s letter to Rizal’s parents dated Dec. 10,1893. ^ Bradford, James C. (2016). 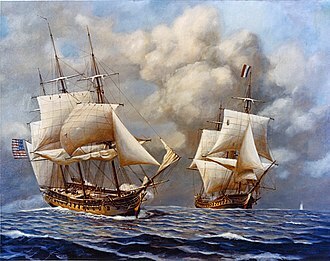 America, Sea Power, and the World. John Wiley & Sons. p. 150. ISBN 9781118927922. ^ a b c "Asiaweek". CNN. 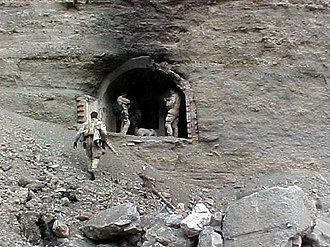 August 31, 1999. Archived from the original on February 15, 2013. Retrieved 29 January 2013. The Philippine five-peso note is a denomination of Philippine currency. Philippine president Emilio Aguinaldo is featured on the front side of the bill and this banknote was circulated until the Bangko Sentral ng Pilipinas stopped printing this denomination in 1996 and was replaced by coins. 1903, Philippine Islands issued silver certificates, Features a portrait of William McKinley. 1908, Banco Español Filipino issued notes,1937, Philippine Commonwealth issued treasury certificate. Features the portraits of William McKinley and George Dewey on both sides of the obverse and this series were overprinted with the word VICTORY on the reverse after the liberation of the Philippines under Japanese rule in 1944. Features a farmer in a forest on the right of the obverse, another version, this time featuring the Rizal Monument on the right of the obverse, was released in 1944. The banknotes ceased to be legal tender after the liberation, Aguinaldo first appeared on the five peso bill upon the release of the New Design series notes in 1985. 1951, English series, Features the portraits of Marcelo H. Del Pilar and Graciano Lopez-Jaena, the reverse features the official newspaper of the propaganda movement, the La Solidaridad. 1969, Pilipino series, Andres Bonifacio replaced the portraits of Del Pilar, the note is now predominantly green in color. On the reverse, it now features the scenario of how to be a member of Katipunan through signing a contract by their own blood and this design was used when the Bagong Lipunan series was released in 1973. 1972, Ang Bagong Lipunan series, The Ang Bagong Lipunan text was added and was overprinted on the watermark area,1985, New design series, The bill was completely redesigned and Emilio Aguinaldo replaced Bonifacio in this series. The NHCP historical marker in the Barasoain Church along with a cannon can be seen on the side of the obverse. On the reverse, a scene from the Declaration of the Philippine Independence is featured and this was previously featured on the reverse of the Ang Bagong Lipunan series two peso banknote. Nueva Ecija is a landlocked province in the Philippines located in the Central Luzon region. Its capital is the city of Palayan, Nueva Ecija borders, from the south clockwise, Pampanga, Pangasinan, Nueva Vizcaya and Aurora. Nueva Ecija was named by the Spanish colonizers after the city of Ecija, the sprawling and varied geological features of the land now known as Nueva Ecija, includes plains and rivers, all the requisites for the birth and sustenance of life itself. The lands very first settlers came upon three mountain ranges to the East and West and vast southern plains. All these were sustained by a flowing river, one whose earliest name was spoken in a now lost tongue. The Great Pampanga River nourished wild, fruit-bearing trees, served as home to an abundance of fish and made possible lush, teeming woodlands that sheltered animals. All these combined must have been paradise in whatever language for the lands earliest settlers and these first settlers included tribes of Ilongots or Italons and Buquids. Settlements were built along the following the rivers undulations. The Ilongots, meaning people of the forest, were the fierce headhunters and animist tribes who occupied Carranglan, the head hunting communities were nestled along the riverbanks of Rio Grandes tributaries in the north. Abaca and Italon were subgroups of Ilongots meaning river settlers, Ilongots survived mainly by fishing and hunting. Food production was a secondary occupation, the agriculture-based community of Caraclans and Buquids were settled in Bongabon and Pantabangan along the riverbanks of Rio Grandes tributaries in the northeast. When the waves of Malay migrations took place between 300-200 B. C. intrepid travelers and traders set up settlements along Luzons western coast and these early settlements formed the nucleus of the Pampango Empire that was consolidated by Balagtas. The flatlands of the portion of Upper Pampanga was a hospitable place for these new Malay settlers. The indigenous tribes were forced to take to the hills in the face of the Malays superior technology, barter trade flourished among communities that settled along the great river. Pangasinan is a province in the Philippines. Its official language is Pangasinan and its capital is Lingayen. Pangasinan is located on the area of the island of Luzon along the Lingayen Gulf. It has a land area of 5,451.01 square kilometres. According to the 2015 census, it has a population of 2,956,726 people, the official number of registered voters in Pangasinan is 1,651,814. Pangasinan is the name for the province, the people, indigenous Pangasinan speakers are estimated to number at least 2 million. The Pangasinan language is one of the recognized regional languages in the Philippines. In Pangasinan, there were ethnic groups who enriched the cultural fabric of the province. Almost all of the people are Pangasinenses and the rest are descendants of Bolinao and Ilocano, Pangasinan is spoken as a second-language by many of the ethnic minorities in Pangasinan. The minority ethnic groups are the Bolinaos and the Ilocanos, at present it is pronounced Paŋgasinan based on the Spanish pronunciation due to their inability to utter or pronounce the nasal sound <nga> /ŋ/. The province is a producer of salt in the Philippines. Its major products include bagoong and alamang Pangasinan was founded by Austronesian speakers who called themselves Anakbanwa by at least 2500 BC. A kingdom called Luyag na Caboloan, which expanded to much of northwestern Luzon. The Kingdom of Luyag na Kaboloan was known as the Wangdom of Pangasinan in Chinese records, the ancient kingdom of Luyag na Caboloan was in fact mentioned in Chinese and Indian records as being an important kingdom on ancient trade routes. Popular tourist attractions in Pangasinan include the Hundred Islands National Park in Alaminos City, Dagupan City is known for its Bangus Festival. Pangasinan is known for its delicious mangoes and ceramic oven-baked Calasiao puto, Pangasinan occupies a strategic geo-political position in the central plain of Luzon, known as the rice granary of the Philippines. Pangasinan has been described as a gateway to northern Luzon and as the heartland of the Philippines, the Pangasinan people, like most of the people in the Malay Archipelago, are descendants of the Austronesian-speakers who settled in Southeast Asia since prehistoric times. Bacoor, officially the City of Bacoor, is a first-class urban component city in the province of Cavite, Philippines. It is a congressional district of Cavite and is the provinces gateway to Metro Manila. According to the 2015 census, it has a population of 600,609 people, some accounts indicate that the city of Bacoor, named Bakood or Bakoor, was founded as pueblo or town in 1671. When Spanish troops first arrived in Bacoor, they met some local inhabitants in the process of building a fence around a house. The Spaniards pronounced it as bacoor which soon became the towns name, Bacoor was one of the flashpoints of the Cavite Mutiny of 1872. Bacoors parish priest at that time, Fr. Mariano Gómez, was one of the GOMBURZA trio implicated in the mutiny for advocating secularization of priesthood in the Philippines and he and the rest of GOMBURZA were executed at Bagumbayan in 1872. The death of the GOMBURZA served as the inspiration for Jose Rizals El Filibusterismo, during the Philippine Revolution against Spain in 1896, Bacoor was one of the first towns in Cavite to rise up. A Katipunan chapter, codenamed Gargano, led by Gil Ignacio from barrio Banalo, started the hostilities in Bacoor on 2 September 1896, on 17 February 1897, General Emilio Aguinaldos 40, 000-strong force confronted a 20, 000-strong Spanish reinforcement at the Zapote River. The Katipuneros reinforced the southern bank of the river with trenches designed by Filipino engineer Edilberto Evangelista and they blew up the Zapote Bridge with explosives which killed several Spaniards crossing it and thereby preventing them from reaching Cavite and forcing them to retreat to Muntinlupa. Despite the Filipino victory, they lost the brilliant Evangelista who was killed in action, after the Spanish counteroffensive in May 1897, Bacoor and the rest of Cavite finally fell to the Spaniards, forcing Aguinaldo and his men to retreat to Biak-na-Bato. The Zapote Bridge became the site once again of another battle on 13 June 1899, an American force of 1,200 men supported by naval gunfire from the American squadron in Manila Bay crushed a 5, 000-strong Filipino force led by General Pío del Pilar. Zapote Bridges special place in Philippine history is depicted today in Bacoors city seal, during World War II, in 1942, Japanese occupation forces entered Bacoor and other towns of Cavite province. From May 7,1942 to August 15,1945, many Caviteños joined the Cavite Guerrilla Unit and this group would eventually become the Filipino-American Cavite Guerrilla Forces. Colonel Francisco Guerrero and the FACGFs 2nd Infantry Regiment was put in charge of Japanese resistance in Bacoor, on 25 July 2011, President Benigno Simeon Aquino III signed into law Republic Act No.10160 creating the City of Bacoor. It was ratified through a plebiscite on 23 June 2012, wherein 36,226 of the towns 40,080 registered voters voted in favor of cityhood while those against were 3,854. With the incorporation of Bacoor as a city, it was divided into two districts, Bacoor West and Bacoor East. During the 2013 mid-term elections, the citizens of Bacoor voted for six councilors for each districts forming a 12-person city council, Bacoor is strategically located at the gateway to Metro Manila. Zambales is a province in the Philippines located in the Central Luzon region in the island of Luzon. Zambales borders Pangasinan to the north and Pampanga to the east, Bataan to the south, with a land area of 3,830.83 square kilometres, Zambales is the second largest among the seven provinces of Central Luzon. The province is noted for its mangoes, which are abundant from January to April, Zambales does not have a functional airport - the closest airport is Clark International airport. Subic Bay International Airport, which is located in Cubi Point in the Subic Bay Freeport Zone is no longer functional for international or domestic flights. The Freeport Zone is host to many tourist attractions include casinos, beach resorts, beachside huts and cottages. The provinces name came from the word zambal, which is a Hispanized term for Sambali, zambal refers to the language spoken by the early Austronesian inhabitants of the place. It could originated from the word Zambo a term used by the Spanish, the province is home to the Aetas, the aboriginal people of the Philippines who share afro-ethnic similarities. The area now occupied by Zambales was first explored by the Spanish in 1572, among the earliest towns founded were Subic, Masinloc and Santa Cruz. Masinloc became the provinces first capital, the capital was moved among the last three towns above during its history before settling in Iba, due to its strategic location. Seven of the original northern towns, which included Bolinao, Infanta. The first civil governor of Zambales during the American era was Potenciano Lesaca from 1901-1903, Zambales lies on the western shores of Luzon island along the South China Sea. Its shoreline is rugged and features many coves and inlets, the Zambales Mountains in the eastern part of the province occupies about 60% of the total land area of Zambales. 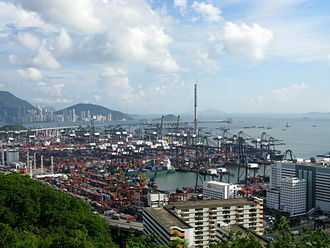 Subic Bay, at the end of the province, provides a natural harbor. 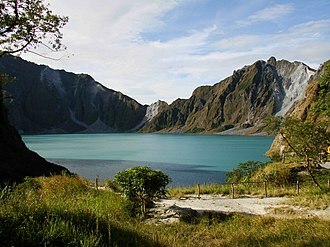 The summit and crater lake of Mount Pinatubo lies within Botolan municipality in Zambales, near the tripoint of Zambales and this volcano, once considered dormant, erupted violently in 1991. The former summit of the volcano was obliterated by the eruption and replaced by a 2.5 km wide caldera, with an average depth of 800 m, Lake Pinatubo is the deepest lake in the Philippines. Malolos, officially the City of Malolos, is a first class highly urbanized component city in the Philippines. Malolos is considered as the 115th city in the country and it is the capital city of the province of Bulacan as the seat of the provincial government. The city is 45 kilometres north of Manila, the city of the Philippines. Bordering Malolos are the municipalities of Bulakan to the southeast, Guiguinto to the east, Plaridel to the north, Calumpit to the northwest, Malolos lies on the north-eastern shore of Manila Bay. The convent of the Malolos Cathedral served as the palace at that time. Malolos gave birth to the first constitutional republic in Asia and it is one of the centers of education in Central Luzon region. Malolos, once the capital of the short-lived First Philippine Republic, is linked to many patriots, Lihan or Li Han was the ancient Chinese name for Malolos, whose leaders bore the title of Gat-sa-Lihan or Gatchalian meaning Ruler of Lihan under the Rajahs and Lacandolas of Tondo. It was in 1225 that a Li Han in the country of Mai was mentioned in the account of Chau Ju-Kua titled Chu-Fan-Chi, the Ma-i is one among many Prehispanic Philippine States such as the Rajahnate of Butuan, the Kingdom of Tondo and the Sultanate of Maguindanao. In Mai, where Lihan is located, the richness of the soil and the convenience of its location made Lihan an important trading post for the native inhabitants, long economic trade relations must have resulted in many generations of Sino-Tagalogs, whose descendants are still omnipresent in Malolos. The innumerable Malolos families who bear Chinese-sounding surnames attest to these inter-marriages, another Pre-Spanish period identified with the old Malolos is from the accounts of the written testament of Pansomun, a royal native from Tabuñgao, Provincia de Calumpit. 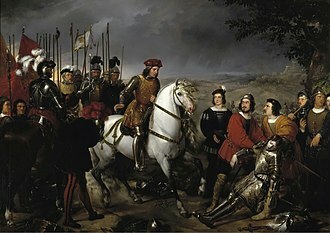 It was in his time that the Spanish conquest of Luzon happened, the testament was dated March 21,1589. 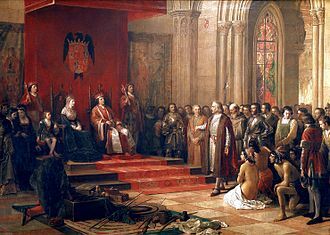 In his testament, he mentioned the settlements and territories under their rule, Don Fernando wrote this testament in able to reclaim the privileges that the Spanish Crown had granted to the Lacandolas. Bahay Tisa (Cuenca Ancestral House) served as the headquarters of the Philippine revolutionary government in 1898. The Molino Dam was built during the Spanish period to divert water for farm irrigation. 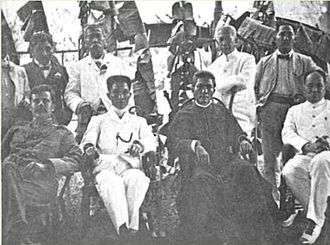 Emilio Aguinaldo with the other revolutionaries on the Pact of Biak-na-Bato. St. Jerome image displayed at the main altar of the church during his feast day. Kayas Kawayan An Art made of Bamboo..
A pro-Allied World War II propaganda poster showing a Filipino soldier holding a Philippine flag with the red field flown upwards. 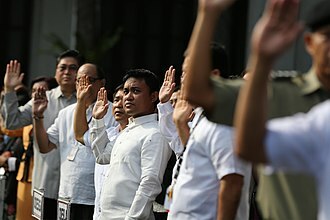 Government employees and officials raising their right hand for the pledge of allegiance to the Philippine flag. 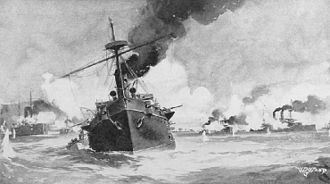 Olympia at the Battle of Manila Bay.